The Courtyard by Marriott River Walk at Central Park in Flower Mound is getting ready to emerge from underground just as spring is arriving. 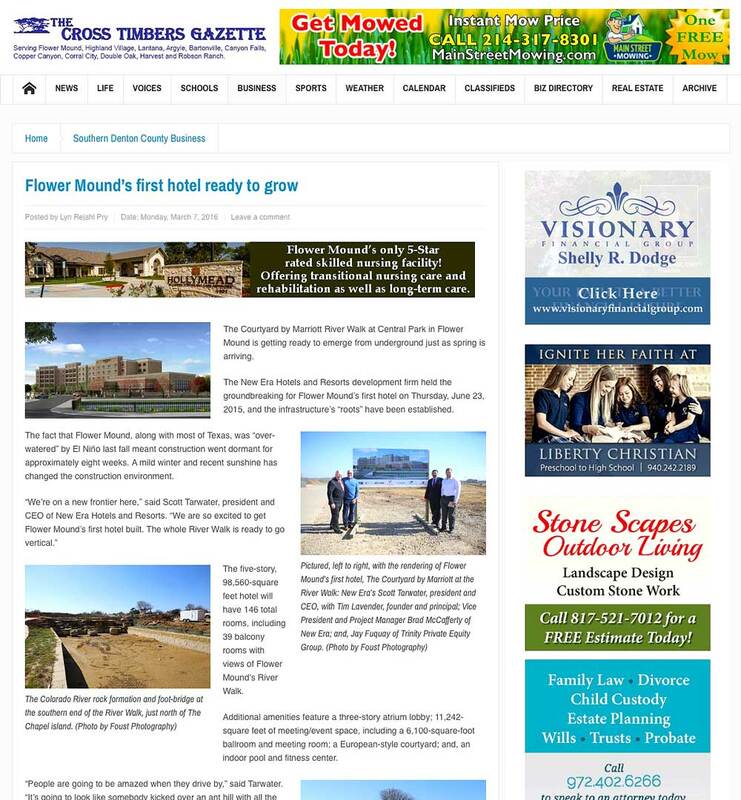 The New Era Hotels and Resorts development firm held the groundbreaking for Flower Mound’s first hotel on Thursday, June 23, 2015, and the infrastructure’s “roots” have been established. The fact that Flower Mound, along with most of Texas, was “over-watered” by El Niño last fall meant construction went dormant for approximately eight weeks. A mild winter and recent sunshine has changed the construction environment. The five-story, 98,560-square feet hotel will have 146 total rooms, including 39 balcony rooms with views of Flower Mound’s River Walk.